WordPress is a blog publishing system (or a Weblog software) written in PHP and is backed by a MySQL database. It is a top-of-the-line publishing platform emphasizing advanced utility, web standards as well as aesthetics. Now a “blog” or weblog is a word used to describe websites that gather or collate and maintain an ongoing chronicle of information. Blogs can range from a wide variety of topics from politics to more personal subjects. To further enhance the entire feel of a blog, WordPress was introduced with the intent to build an elegant and well-architectured personal publishing system built on PHP and MySQL and licensed under the GPL. B2/Cafelog was the precursor of WordPress and was also written in PHP. The latest release of WordPress is version 2.2.1, released on 21 June 2007. It is distributed under the GNU General Public License. WordPress development is led by Ryan Boren and Matt Mullenweg. Mullenweg and Mike Little were co-founders of the project. The contributing developers include Dougal Campbell, Mark Jaquith, Donncha O’Caoimh, Andy Skelton, Michel Valdrighi and Peter Westwood. Full Standards Compliance: The WordPress generated code is in full compliance with the standards of the W3C. This is a vital feature for interoperability with today’s browser. No Rebuilding: The modifications made on the templates or any other entries that are added are immediately reflected. Therefore this obviates the need to regenerate static pages. WordPress Pages: Pages allow you to manage non-blog content easily, so, for example, you could have a static “About” page that you manage through WordPress. WordPress Links: Through the administration interface, the links let you create, maintain and update any number of blogrolls. This again obviates the need for an external blogroll manager. WordPress Themes: With WordPress offering a complete theme system, designing is just a breeze. From a simple looking blog to more complicated ones, the multiple themes lets you experiment with varied looks and designs. Cross-Blog Communication Tools: WordPress fully supports both the Trackback and Pingback standards. Comments: Visitors can leave their comments on individual entries. Moreover, you have the flexibility to enable or disable the comments feature on a per post basis. Spam Protection: WordPress comes with very robust tools such as an integrated blacklist and open proxy checker to manage and eliminate comment spam on your blog. If that’s not all; a wide variety of plug-ins can further enhance this functionality. Full User Registration: WordPress has a built-in user registration system that can allow people to register and maintain profiles and leave authenticated comments on your blog. Password Protected Posts: Individual posts can also be password protected in case you want to hide them from public view. You can also have private posts which are viewable only by their author. Easy Installation and Upgrades: The installation and upgrade process is just a breeze and does not require any technical expertise. Easy Importing: WordPress currently has importers for Movable Type, Textpattern, Greymatter, Blogger, and b2. XML-RPC interface: WordPress currently supports an extended version of the Blogger API, MetaWeblog API, and finally the MovableType API. You can even use clients designed for other platforms like Zempt. Workflow: Users can be filtered who only post drafts and not publish on the front page. Typographical Niceties: WordPress uses the Texturize engine to intelligently convert plain ASCII into typographically correct XHTML entities. This includes quotes, apostrophes, ellipses, em and en dashes, multiplication symbols, and ampersands. Intelligent Text Formatting: This feature intelligently avoids places where you already have breaks and block-level HTML tags. So the users do not have to fret about breaking their codes. Multiple Authors: This feature easily allows up to 10 levels of users, with different privileges related to publishing, editing, options, and other users. Bookmarklets: Cross-browser bookmarklets makes it easy to publish to your blog or add links to your blogroll with considerable ease and little effort involved. Ping Away: WordPress supports pinging Ping-O-Matic, which means maximum exposure for your blog to search engines. WordPress is essentially an open source project, enabling hundreds to thousands of people working on it. 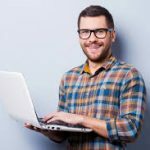 Today, it is one of the largest self-hosted blogging tools in the world and its popularity and favouritism have grown considerably. Besides using it as a blogging software, WordPress has many alternate applications as well. You have the ability to create multiple blogs with multiple installs. Therefore, each needs to be installed separately (i.e. as a separate WordPress installation). You will also need a separate MySQL database for each blog that is installed. You can use WordPress to post your own stories, ideas, rants, reviews, links, and pictures any many more things that interest you or you want to share. In addition, you can customize the look and feel of your site. Numerous themes are available and may be modified in many different ways. The basic benefit of this tool is that it can be completely controlled by the user. WordPress is built following W3C standards for XHTML and CSS, ensuring that your site is more easily rendered across standards-compliant browsers. Aggregator support is built-in with a number of standard RSS configurations already done for you, as well as Atom. These essentials make your WordPress website easy to manage, helps you get more traffic and increases site longevity or future Internet technology adoption. WordPress.com stats: With the stat system, it is possible to have simple and precise stats without any additional load on the server. Installing this stats plugin is much like installing Akismet, all you need is to put in your API Key and the rest is automatic. Sphere Related Content: This plug-in displays an icon link at the end of the blog posts. It is instrumental in finding blog posts and media articles related to the content. PodPress: podPress adds tons of features designed to make WordPress the ideal platform for hosting a podcast. Get Recent Comments: This plugin shows excerpts of the latest comments and/or trackbacks in your sidebar. You can let the plugin order the comments by the corresponding post, or simply order them by date. The plugin can (optionally) separate the trackbacks/pingbacks from the comments. WP-Cache: WP-Cache is an extremely efficient WordPress page caching system to make your site much faster and responsive. It works by caching Worpress pages and storing them in a static file for serving future requests directly from the file rather than loading and compiling the whole PHP code and the building the page from the database. (Optional) Apache mod_rewrite module (for clean URIs known as Permalinks. Given that the software is completely free of cost and loaded with features while being user-friendly, it is in fact priceless. 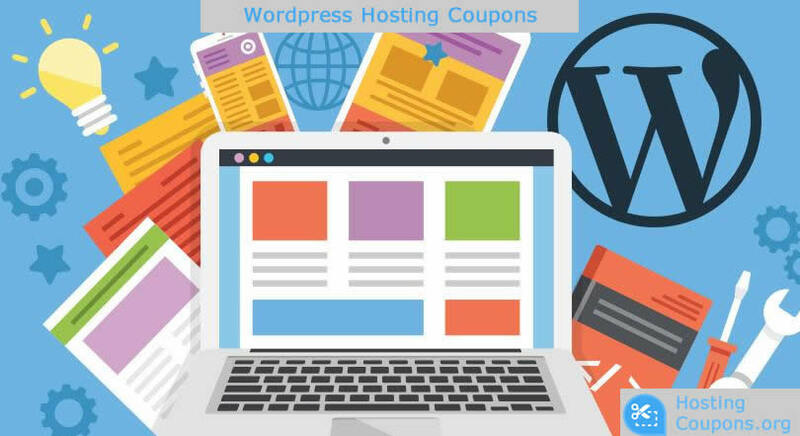 To get started with WordPress, set it up on a web host for the best possible flexibility or get a free blog on WordPress.com or look into WordPress Web Hosting. Hello. I am an experienced 31-Year-old Tech Journalist from the UK. I have been writing Tech product reviews ranging from Web Hosting, VPN and Website Building for many years. I am always on the lookout for the Latest Web Hosting Coupons. Hostingcoupons.org is a source of the hottest web hosting coupons. 2019 Hostingcoupons.org. All rights reserved.